Business leads are the most tangible benefit for VFTCB membership. Our organization has an 11-person sales staff that is dedicated to bringing business to Valley Forge and Montgomery County, connecting meeting planners, brides-to-be, tournament organizers and others to our members. We filter all of the business that comes through our organization. Our staff looks at each individual opportunity and sends it only to our members that make the most sense based on needs. This ensures that every piece of business that you receive is one you can win and you are not bogged down by leads that don't make sense. The VFTCB set a new organizational record in FY2017 (July 1, 2016 to June 30, 2017) by booking more than 105,000 room nights. That represents more than 5% of all the hotel rooms booked in Montgomery County during the same period. For our hotel community, we are always looking for new opportunities to fill rooms, especially during need times. Our sales team offers multiple incentive programs for meeting planners to book here and to book now. Hotels can utilize our incentive programs to help land the business. Last fiscal year, members received more than 200 of these requests. Most of the requests were weddings related - requests for ceremony and reception venues, limousines and transportation, photographers and more. WHAT DOES THIS DO FOR OUR MEMBERS? The only businesses that receive these leads and service requests are members of our organization. 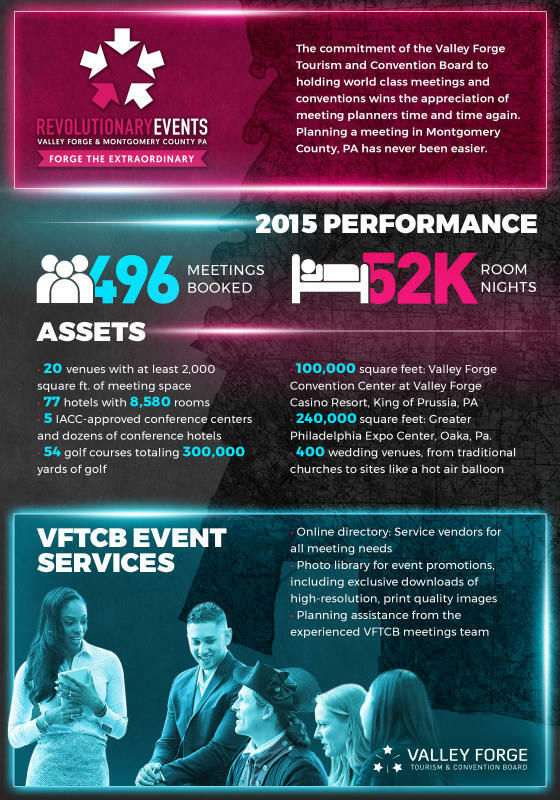 While we can't guarantee that a meeting or event planner will choose a given business, the VFTCB is consistently reaching out with new opportunities for our members. And our sales team is always here to work with you to help land the business. Remember, the VFTCB doesn't own any hotel rooms or meeting space. Our mission is to help fill yours.